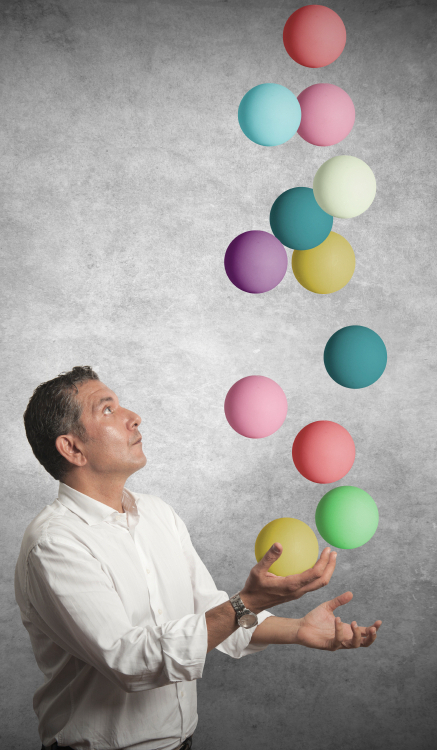 Successful Inventory Management is a real juggling act. Inventory managers try to meet conflicting needs and please factions from a variety of areas within the company. While financial managers are harping about keeping costs low and cash flow fluid, the warehouse wants to stockpile items to insure quick availability. The production team is looking to maximize equipment efficiency at the same time that customer service is promising deliveries that make that goal nearly impossible. And, in the middle is the inventory manager, charged with providing the right supply at the right time to a very demanding market. It is not easy task. To be effective, here are some things that all inventory managers need to keep those balls in the air rather than crashing down around their heads! It is critical to be able to review and maintain inventory details, track expiration dates and modify inventory status in a quick and easy way. Robust data visibility enables Inventory Managers to ensure that materials are available for production when they need them, to maintain the lowest possible material levels, and to adjust inventory balances and manage floor stock with ease. In addition to being able to see all the critical data on one screen, Inventory Managers need to be able to sort and filter data so that they can easily analyze inventory balances in order to plan delivery schedules and purchasing activities. Data accuracy is of paramount importance to Inventory Managers. Inventory accuracy— whether companies perform cycle counts or physical counts— is one of the places where inaccurate data can easily happen and cause mistakes and inaccuracies all the way down the line. Quick, easy and accurate updating of inventory counts is essential. If you are in a QAD environment, 32 Soft’s suite of Inventory Management Data Loaders, along with our Replenishment Workbench, work with your QAD system to give you superior visibility, analysis capability, and data accuracy. They’ll certainly help you keep all those balls in the air. To find out more, watch our 3-part webinar series available now.